That couldn’t be right? I wouldn’t be expected to lounge on a longue, would I? Your chance to hear some of the best new creative writing being produced in Aberdeen and the wider Northeast, Scotland. That description still made me nervous but also thrilled to be invited, along with friends from the Aberdeen Writers’ Room Collective, Rachelle Atalla, John Bolland, Avril Erskine, Gavin Gilmour, Laura Lam, Megan Primrose and Emily Utter, along with poetry therapy practitioner, Elaine Reid and playwright Morna Young. Organized by the wonderful writer and creative powerhouse that is Shane Strachan, of Creative Learning Aberdeen, the evening was a fantastic opportunity for all involved. So what have I learned from taking part? 1. Ask a writing friend to check your selected piece for appropriateness. Unless you’re a natural and accustomed to treading the boards, reading dialogue aloud, perhaps taking on the voice of at least a couple of characters, can prove daunting. For a first time reader descriptive prose might be safer ground. 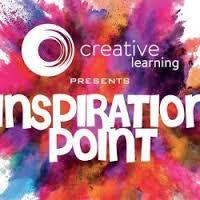 Sounds obvious, but the Inspiration Point event fell at the end of half term. I’d been away from home all week, enjoying time with family. I arrived at The Lemon Tree with only minutes to spare, with no printed copy of my reading to hand. It fell to my husband to make the mad dash home (20 minutes drive away) to print off a copy and return before I was due on stage to kick-start the second half. Note to self—be prepared! 3. Become acquainted with the running order. you (a few kind words helps keep the feel good factor flowing) and also necessary to know who will come after you, especially important if you are expected to introduce them with perhaps a short background summary. 5. Know thy route to and from the stage. The Lemon Tree Theatre was the perfect venue, owning a wide stage, bar at the back, with circular candle-lit tables dotted around the main floor. However, whilst I made my way on stage, I also became acquainted with the many trip hazards—coat sleeves, handbags, satchels etc. Once my piece was finished and the talented Rachelle Atalla was well into reading the opening of her current novel, the last thing I wanted to do was create an unwanted diversion by tripping and sprawling over one of the beautiful candle-lit tables. So instead, I discreetly choose to sit at the back until there was a suitable opening, which allowed me to make a less dramatic entrance. Would I read at a literary salon again? Writing can be a solitary business but during Saturday evening at The Lemon Tree surrounded by friends old and new, many established writers – some starting out, I understood why the concept of the literary salon has continued since the time of the enlightenment and ladies lounging on their chaise longue. It’s because it’s fun and frightening and wonderful all at the same time. Would I accept if asked to read again? It’s a big YES from me. Rae Cowie writes in the beautiful northeast of Scotland, as part of the Novel Points of View blog team and as arts’ correspondent for online magazine The Wee Review. She won the Romantic Novelists’ Association Elizabeth Goudge award 2015, going on to gain the third place award in 2016. She is a member of the Romantic Novelists’ Association New Writers’ Scheme, currently polishing her first novel for submission to agents. Rae can be found on Twitter, Pinterest, and Goodreads.